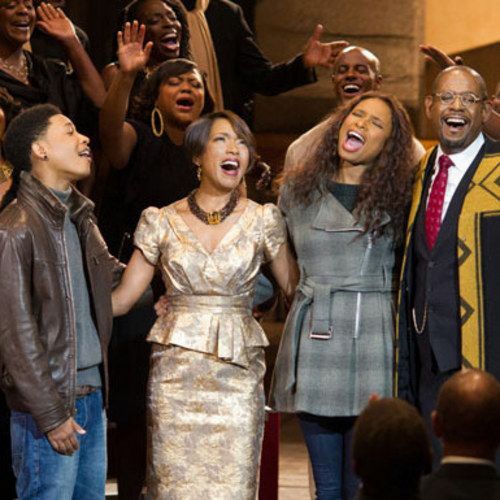 New photos from Kasi Lemmons' musical comedy Black Nativity have surfaced featuring Angela Bassett and Jennifer Hudson. The film is based on a play by Langston Hughes and centers on a street-wise teenager (Jacob Latimore) from Baltimore determined to return to his mother after being sent to his estranged relatives for the Christmas season. On his journey, he discovers the true meaning of faith, healing, and family. Take a look as Jennifer Hudson celebrates the Christmas spirit in these latest images that also feature Forest Whitaker and Mary J. Blige.